Rovinj is the ideal destination for an active holiday, healthcare and relaxation. 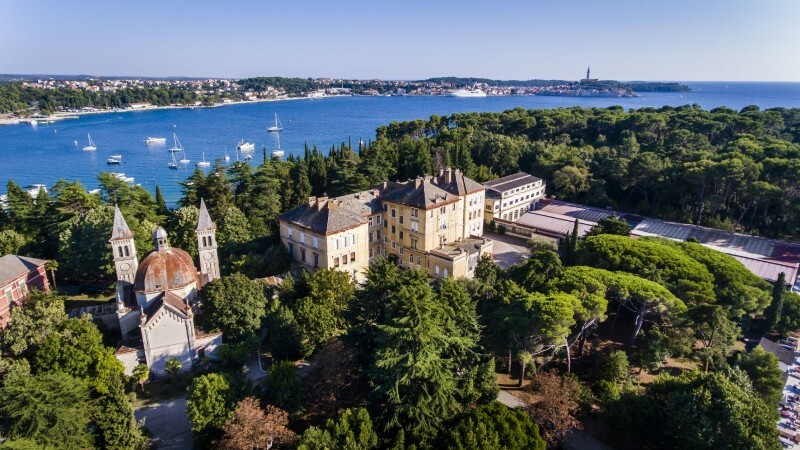 Thanks to the mild Mediterranean climate, numerous parks, beaches, as well as walking and bike trails, Rovinj is the perfect choice for mental and physical care and relaxation. The protected “Zlatni rt” forest park, extending over 54 hectares and situated in the immediate vicinity of hotels and the city centre, allows fans of cycling, jogging, climbing and taking long walks to spend their time in an oasis of lush vegetation and enjoy the pleasant climate, as well as the scents of the surrounding forest, meadows and sea. The tradition of the Orthopaedic and Rehabilitation Hospital “Prim. Dr. Martin Horvat” goes back to the Austro-Hungarian period. Owing to the beneficial Mediterranean climate and its location on the peninsula of St Pelagius, the hospital had been an attractive coastal health resort for the treatment of bone diseases of the then European aristocracy right from its founding. The hospital complex was built under the patronage of Maria Theresa and inaugurated in her presence on 22 May 1888. The hospital’s opening was supported by Vienna-based doctors, particularly by prof. Luigi Monti, the first hospital director. The hospital’s reputation as a health resort, as well as an ideal place for spending a holiday and undergoing orthopaedic rehabilitation, lasted for a century, and it ensured the loyalty of Austrian patients who gladly used the hospital services, mainly under long-term contracts with the AUVA Austrian insurance company. The Department of Surgery was active until the 1990s. Today, hospital treatment is based on physical medicine and rehabilitation with patients staying on either full or half board. Treatment in the hospital encompasses various types of physical therapy and rehabilitation, i.e. kinesiotherapy, hydrotherapy and electrotherapy in combination with beneficial properties of the surrounding nature (helio- and thalassotherapy). The first therapeutic beach suitable for persons with health difficulties was opened in June 2017. Over the past years, dentistry has become a thriving branch of medical tourism. Rovinj prides itself on having numerous world-renowned dental practices with 15 private dental clinics offering a wide range of top first-rate services ranging from implantology and prosthetics to periodontics and orthodontics. Some dental clinics also offer minor cosmetic procedures. The clinic is open from May through October.